A century ago Robert Scott and his four colleagues died, during their ill-fated expedition to the South Pole. Here, Christopher Riley explores the scientific progress in our understanding of Antarctic extremes and their effect on the human body, revealing the ‘perfect storm’ of circumstances that contributed to their deaths and the scientific legacy of Scott and his team. In 1912 our ignorance of the Antarctic Continent was equally matched by our ignorance of the effects such an extreme place could have on the human body. In that age of planet-conquering exploration and the triumph of human spirit over adversity, a man’s physical limitations were not a subject for great consideration or acceptance. The great confidence in the science of the day, for adventuring men like Scott, was underpinned by the firm belief that what they didn’t know about couldn’t harm them. Such steadfast optimism was at the heart of the Victorian era of exploration and often triumphed when accompanied by a dose of good luck. But when fortune was not on their side, the results could be disastrous. Like other early polar explorers, Scott confidently believed that exposure to a cold environment for months on end could trigger adaptations in their bodies, which would help them survive. In reality, humans are homeothermic creatures, physiologically evolved to live in warmer climates rather than freezing environments. Our main physiological adaptation to the cold, vasoconstriction, which reduces blood supply to our extremities, only offers the equivalent thermal protection of a single layer of clothing. Ironically, such heat conservation has the side effect of making us more susceptible to frostbite; when ice crystals grow inside our cells causing irreparable damage. And at temperatures of minus 40 degrees C, which Scott and his team suffered during their return from the pole, frostbite struck them all remorselessly. 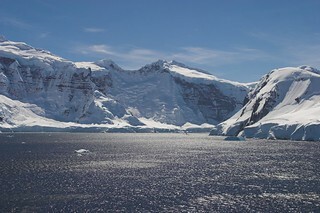 We now know that such extreme temperatures are in fact rare on the Antarctic plateau. Thirty years of meteorological records reveal that more typical seasonal temperatures, at the same time of year as Scott’s South Pole slog, are around minus 25 degrees C. It’s only every 10 years or so that temperatures drop as low as he experienced. Nine years out of ten are more survivable. But, as fate would have it, 1912 was a cold year, and at minus 40 degrees C, not only does the risk of frostbite rise, the snow no longer melts beneath their skis, and sliding becomes impossible, requiring far more effort to drag their sledges. These extreme temperatures also increased the air pressure and prevented the usual coastward winds surging out from the plateau. Such conditions would normally have helped to blow them back to safety, but in the absence of this wind and with the snow too cold to slide on, the men would have become mired, burning even more calories to stay warm and keep moving than they had anticipated. In 1912, dietary science was also still in its infancy, with little known about the chemistry and physics of food and its metabolism in the human body. The energy content of major food groups had been measured at the turn of the 20th Century, and Scott would have known about the calorific value of fat. But the body’s raised demands for calories, hauling a fully laden 100kg sledge across ice fields, were yet to be properly quantified. It would be over eighty years before the full energy cost of such physical exertion was appreciated, when Dr Mike Stroud and Sir Ranulph Fiennes crossed the continent on foot in 1992/93. Each man expended almost 7000 kcal per day, increasing to nearly 11,000 kcal during ascents. In contrast Scott’s rations offered an average of only, 4,400 kcal per day, less than 60 per cent of what they needed to avoid weight loss. His figures were based on the best data available at the time; which had come from an earlier Antarctic expedition by Ernest Shackleton in 1908. According to physiologists Lewis Halsey and Mike Stroud such a calorie deficit would have led to a loss of around 1.5 kg of body mass per week. In his book ‘Survival of the Fittest’ Stroud points out that a normal individual can lose up to 15 per cent of their body weight without weakening significantly. Records from the search party revealed that Scott had indeed lost around 40 per cent of his starting body weight by the time of his death. Such a dramatic weight loss was down to another fundamental misunderstanding at the time about metabolism. Early 20th century theories postulated that during exercise muscles would partially break down as they contracted. To compensate a diet richer in protein than fat was recommended for such an expedition, which in reality robbed them of the calories needed for the work demanded of them. What we know today is that the body’s readily available glucose stores are depleted within the first three hours of strenuous physical activity, after which its reserves of carbohydrates and fats will be metabolized for energy. Once they run out, the body’s protein (i.e. muscle) tissue starts to be converted into glucose for energy. With this knowledge a modern Antarctic diet is designed to avoid any calorie deficit, and favours fats, which provide 9 calories from every gram, compared to only 4 calories from carbohydrate or protein. On their man-powered, unsupported trek across Antarctica in 1992/93, Stroud and Fiennes opted for a diet to provide the energy needed to protect our muscles; with a balance of 57 per cent fat, 35 per cent carbohydrate and just 8 per cent protein. Even at these high energy levels, their daily calorie expenditure noted above outstripped their intake, and they lost over 20kg each in body weight and suffered a 20 per cent decline in physical fitness, caused by muscle wastage during the journey. In contrast, Scott’s rations consisted of just 24 per cent fat, 29 per cent protein and 47 per cent carbohydrate, and they would have been losing weight with every step, resulting in the emaciation noted above. The thinner they got, the more susceptible they would have become to hypothermia, as they struggled to maintain their core body temperatures. Further physical exertion on this diet would eventually deplete their fat and protein reserves completely and under such severe starvation their bodies would have begun to metabolize vital organ tissues. This would have quickly led to reduced physiological functions, including cardiovascular capability and a slow decline of metabolic rate, spiraling into insufficient heat production and insulation, extreme hypothermia and eventually death. An x-ray of the legs of a patient with scurvy. It shows a periosteal reaction caused by subperiosteal haemorrhages. Shelves of readily available multi-vitamin tablets in today’s shops make it easy to forget the time before knowledge of the vital role these molecules play in our diets. But Scott lived in an age before vitamin awareness, and whilst his diet at home contained enough vitamins for a healthy life, his expedition rations often lacked the essential micronutrients needed to keep him fully functioning. For example scurvy, a well-known curse of long distance travelers at the time, was thought to be caused by food poisoned from the cans it was stored in. There was even talk of there being a contagious bacterial cause for scurvy. Typical symptoms included weakness of small blood vessels and poor wound healing. In extremes, haemorrhages could also occur anywhere in the body, including the brain. Certain foods like fresh fruit, vegetables and meat were recognised for alleviating its symptoms, but darkness, cold and hard work were thought to be as much a cause of it as poor diet. Such scientific uncertainties lead to poor decisions about the best foods to keep scurvy at bay. Ironically, the pasturisation of their rations, to render them free of bacteria had the serious side effect of destroying the one compound that could have prevented their scurvy: vitamin C.
Unlike some other vitamins, Vitamin C cannot be synthesised by the human body, and has to be replenished through our food. The longest the body can store it, in the form of ascorbic acid, is around 12 weeks, which coincided with Scott’s return leg from the pole. We know today that vitamin C is vital for the synthesis of collagen, a key protein in connective tissue. Without it growth and repair of skin, scar tissue and tendons also becomes limited and sufferers’ muscles, including those in their hearts become weakened. Although Dr Edward Wilson’s diaries make no mention of such symptoms, they could have been hard to distinguish from the scourge of starvation, and it is thought likely that scurvy contributed to their demise. Indeed, when their emaciated bodies were eventually discovered, almost eight months later, Petty Officer Edgar Evans’ skin showed signs of poor wound repair, with a rotting nose and festering hand wounds. At over 3000 meters above sea level, life on the polar plateau must also endure air with 30 per cent less oxygen than at sea level. Most of our present knowledge about the effects of altitude have been discovered in the last fifty years and were not known to Scott. In contrast to our inability to adapt to cold environments, the body acclimatises well to low oxygen levels, quickly boosting the efficiency of cellular respiration and, over several weeks, increasing the oxygen carrying capacity of the blood through increases in haemoglobin concentration and red blood cell count. In 2007 Dr Daniel Martin, from University College London, conducted an extreme altitude study of oxygen in the blood all the way up to the summit of Everest. Daniel had the lowest level of oxygen ever reported in a human, from arterial blood, measured near the summit of Mount Everest. His was the latest in a tradition of studying altitude sickness (also known as Acute Mountain Sickness or AMS), on the slopes of Everest, which had begun in 1960 with the so-called ‘Silver Hut’ experiment. What these studies have shown is that despite the relatively rapid adaptations to altitude, which the human body is capable of, the low partial pressures of oxygen still have serious adverse physiological effects. Symptoms of AMS include headaches, loss of appetite, nausea, vomiting, dizziness and irregular breathing during sleep. There is clear evidence of such symptoms in the men’s diaries, which undoubtedly accelerated their physical decline and sapped their mental strength and resolve further. Yet, without today’s appreciation of the warning signs of AMS, Scott’s men would not have been vigilant to its compounding effects on their already weakened states, or have known how to treat it, by continuous re-hydration. Captain R F Scott and another man on vessel. A prize worth the price? The suffering of these men during their 50 days on the plateau that southern autumn of 1912 is etched into every pitiful page of their journals. Yet despite their pain, the men continued a program of exploration on their trek back from the pole, pausing on the 7th February to ‘geologise’; documenting and collecting 14kg of rocks from the moraines at Mt Buckley. These samples were a key objective for the expedition and despite the extra burden of hauling them, the men still felt strongly that they were making the journey for the pursuit of scientific knowledge. Whatever happened to them in the coming weeks, a search party would eventually find their samples and they would not have died in vain. Ten days later, Petty Officer Evans’ repeated stumbles on the ice were taking their toll and, in a gravely weakened state from the journey, he died of concussion on the 17th February. His loss was a bitter blow to the men’s moral and coupled with the relentless pressures of severe weather and their inadequate rations, their own decline accelerated. Painful snow-blindness (sun burn of the cornea), the exact cause of which was also not understood at the time, made their last days here at the bottom of the Earth grim. With his condition worsening faster than the others, and in a famous act of self-sacrifice, Captain Lawrence Oates walked out of their tent and into a blizzard, on the morning of the 16th March. His body was never found. Scott, Bowers and Wilson pressed on toward the next supply depot, but were halted by a storm and forced to hide in their tents until it abated. Of the 800 mile return trip to the pole, they were just 11 miles short of their final supplies. But by the 29th March the storm had not subsided and all their fuel and food had run out along with their remaining luck. Over eight months later, a search party discovered the bodies of Scott and his two remaining companions in their tent. Alongside their frozen bodies were the fossils, a meteorological log, scores of notes, and rolls of film taken by Scott himself. They had stayed loyal to their expedition goals of exploration and discovery until the bitter end. No one would return to Antarctica for 45 years. But the scientific gifts of Scott’s 1912 trek to the South Pole would continue to nourish studies of glaciology, geophysics, oceanographic circulation and the nature of the Earth’s magnetic field for decades to come. Contained in the fossils found next to Scott were imprints of Glossopteris indica; an extinct beech-like tree from 250 million years ago. It’s discovery in Antarctica proved conclusively that southern continents were all once connected. It was a vital piece of supporting evidence for the emerging theory of continental drift and nothing short of a missing link in our geological understanding of the planet. It was a far greater prize than being first to the pole and perhaps, even one worth dying for. Dr Christopher Riley is a former planetary scientist and Professor of Science and Media at the University of Lincoln. He worked for the British Antarctic Survey at their headquarters in Cambridge from 1989-1990. Words from Captain Scott, a new TV programme on the expedition, airs on ITV1 on Friday 30 March 2012 at 10.35pm. It is supported by a Wellcome Trust People Award.